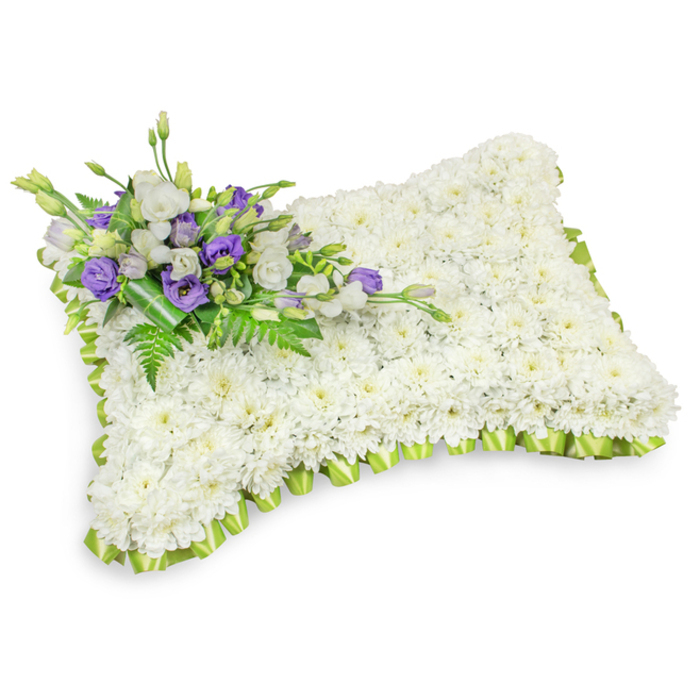 Let this lovely arrangement of white chrysanthemums, lisianthus and freesia deliver your sympathy and express your grief. 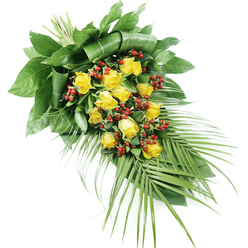 The elegance and purity of this pillow-shaped arrangement makes it a wonderful display of admiration and true love. 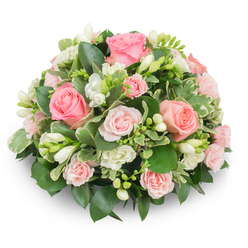 I've used this company before and was quite pleased with the flowers. 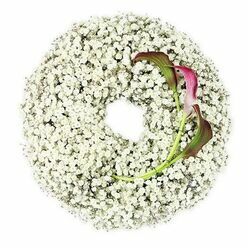 I really hope they will arrange beautiful funeral flowers as well. Easy and trouble-free ordering. They delivered on time. That was the most beautiful cushion. Very pleased with the flowers. Very efficient customer service. 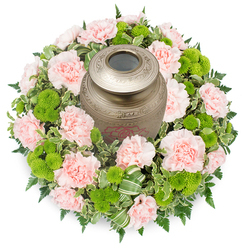 It was easy for me to order the tribute I wanted and they even added my grandma's favourite flowers to make it more personal. 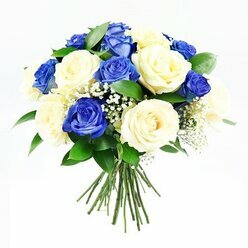 Thank you so much Handy Flowers! Very professional service. 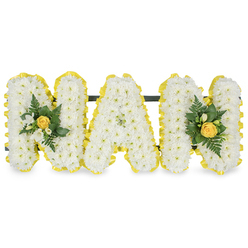 They arranged the delivery of this lovely tribute and it was delivered straight to the funeral home. The flowers were fresh and beautiful.